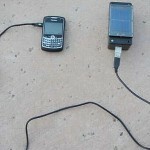 To build a solar powered charger you need to follow a few steps and to use some basic equipment. Solar panels are available at affordable prices and in all possible sizes. 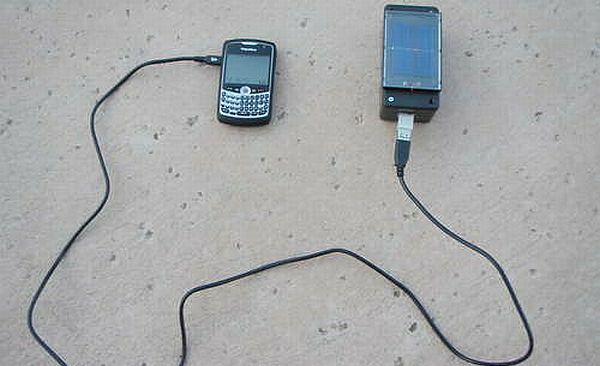 To make a solar powered charger you will need tools like: AA batteries, Battery holders, a USB extension a/a cable, electrical tape, glue gun or tape to hold the pieces in place,terminal strip or soldering iron, blocking diode, a drill, a 6 volt solar panel. Standard diodes drop the voltage by 0.6 V, while the Schottky diode drops it by 0.2 V which can be a deciding factor in whether the charger works or not. So it’s better to choose a standard diode which will ensure quality of the functioning of the charger. To build the kit, you have to cut the USB cable at the end which has the jack and remove everything except the red and black wire. This cable will be used in constructing the circuit. To be sure that is working, check the solar panel before connecting it to the circuit. It should yield the output of 2 volt inside the room and 2.5 volt in bright sunlight. The next step is to stick the pieces to make a circuit. Solder the red wire of the cable to the diode and then the diode to the red wire from the solar panel. In the next step solder the black wire from the solar panel to the cable. This completes the step of soldering. Soldering creates a serial connection which adds the voltages together, giving an output between 4 and 5 V, which is the required voltage for operation of a standard charger. You need to drill a hole for the cables to make it pass through the solar panel. This step involves the fitting of the components of the solar charger into the project box. All you have to do now is to connect any one of the gadgets with minimal power requirement to the finalized solar charger to test it out. The solar panels need to be exposed to bright light. If the solar panel does not get ample light, it will not function appropriately. It’s better to turn off the gadget while charging; it will increase the life of the solar panel.